CHOC Children’s has been recognized by Press Ganey for excellence in physician engagement. Grand Rounds are now recorded and are available online for later viewing. Click here for our catalog. 17th Annual Academic Day for Neonatologists, Nov. 14 2019. Learn more. Caring for the Young Athlete - June 1, 2019. Learn more. Pediatric Cardiology for the Primary Care Professional - August 24, 2019. Learn more. The Provider Connection eNewsletter is sent every other month and includes the latest news and information for our provider community delivered right to your inbox. Click here to view past issues. Read the CHOC Docs blog. Dr. Antonio Arrieta discusses proper timing and dispels myths surrounding vaccinations, and details his current research at CHOC. In this CHOC Radio segment, Dr. Taraman speaks with Travis Rodgers about concussions in sports. Get the latest news and information for and about our physicians. 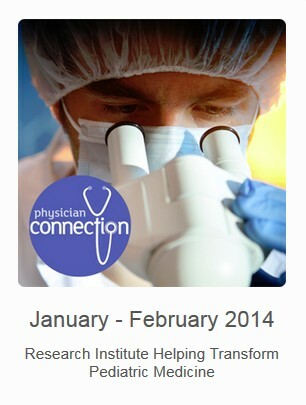 Get the latest news and information for our physicians delivered right to your inbox. See what's happening in real time by following @chocdocs on Twitter. Use this link to access our remote physician portal. Use this form to update your information in the online physician directory. Care Guidelines are tools to aid in clinical decision making and are utilized by the care team to facilitate the delivery of quality care. We wish to acquaint you with the Physician Orientation Packet. Website for our medical foundation. This resource is available on PAWS, you must be on campus or logged in remotely to view. Crimson is a web-based business intelligence platform designed for physicians to be used by physicians. Physician education portal and tools. Access rules and regulations designed to govern the conduct of Medical Staff members and others providing patient care services at the Hospital. Dr. Anjalee Galion to Appear on American Health Journal this Sunday, Feb. 8, at 5 p.m.